I continue to fake concentration as my teacher keeps explaining Archimedes’ principle in the least interesting way possible, nipping my interest in physics in the bud. As she writes the formula on the blackboard the screeching sound manages to attract my attention but holds it only for a while. I sneak a peek at my watch, for the eighth time now. The buoyancy theory keeps my hope afloat. The forty-minute class is now just a minute away from being over. The mallet strikes against the metal disc four times. The corridor reverberates with the mellifluous sound signaling freedom in the guise of ‘tiffin-time’. The oven beeps thrice jolting me back to reality. The ten-minute wait is over. 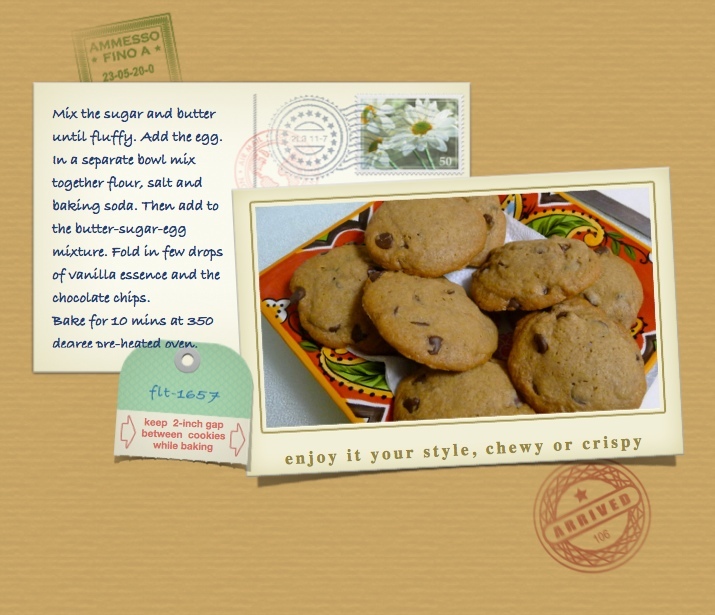 As I take out the baking tray lined with warm chocolate chip cookies, the house fills with a sweet aura no room freshener can match! 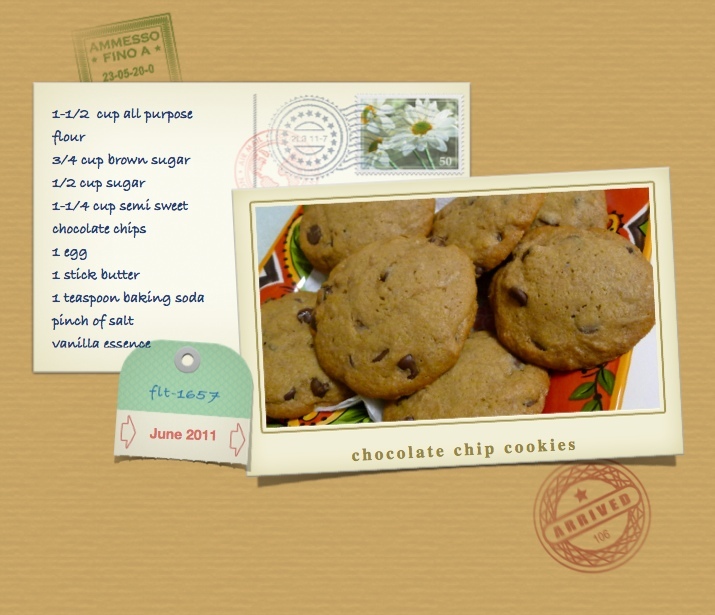 Categories: Something Sweet | Tags: chocolate, chocolate chip cookies, cookie, nostalgia | Permalink.